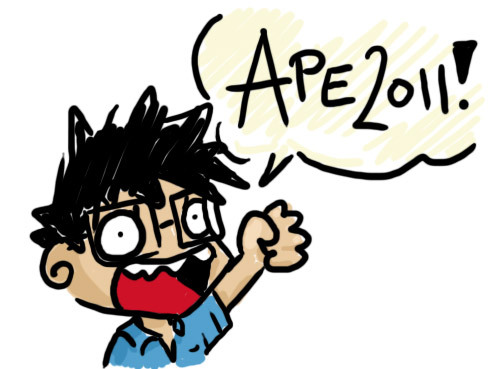 APE 2011 (Alternative Press Expo) will be happening this coming weekend and I'll be there at Table #204. I'll have old comics, the Robot in the City plushies and a lot of original art for sale (framed stuff, original skeleton stuff, etc.). I'll also have the following 8x10 prints for sale as well for a measly $10 each! I'll also have some slip cast skull heads Josie made for sale as well. Check it out and I hope to see you there!